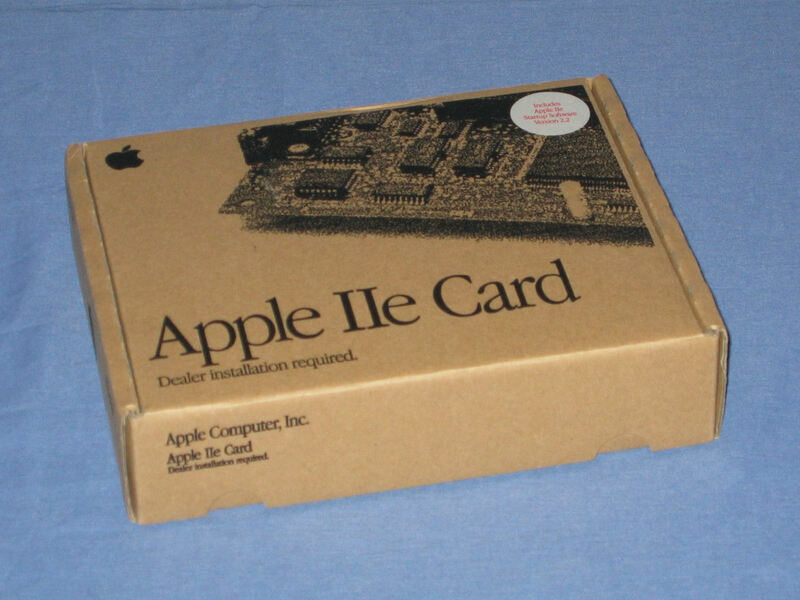 The Apple IIe Card is a PDS card for a Macintosh LC that provides hardware emulation of an Apple IIe. The box for the Apple IIe Card. Contained in the box is the card, Y-cable for joystick and floppy drive, software disks, and manuals. Apple IIe for the Macintosh - The not-often-mentioned Apple IIe on a card!